When you or a loved one receives an Alzheimer’s disease (AD) diagnosis and the equally bad news is that there isn’t a single medication on the market that can stop the mind-robbing disease in its tracks, it’s easy to feel hopeless. Who wouldn’t? But on the contrary, there is every reason to be hopeful. Why? More than 150 Alzheimer’s and related clinical trials in the U.S. are looking for volunteers. Each of these studies is testing an experimental treatment to discover whether one of them could be an effective treatment or a cure, the answer to so many prayers. Although the investigational medications currently being tested in clinical studies may not stop the disease progression or prevent its devastating escalation, every study gives researchers one more bit of invaluable information that will eventually lead to answers on how to treat Alzheimer’s disease. Effective treatments, however, will only come by way of rigorous research and the thousands of dedicated volunteers who enroll in clinical trials. This includes both people with Alzheimer’s disease and other dementias, as well as healthy volunteers. Researchers have learned much from previous studies, and while some might call them failures for not discovering that elusive “cure,” they are anything but failures. Every study teaches a lesson; like a puzzle, each piece bringing us a bit closer to the solution. It is through clinical studies that researchers learn how brain changes caused by AD offer potential targets for new drugs that may stop or slow the progress of the disease. Researchers are on a quest to learn everything they can about Alzheimer-related changes in the brain; the more they know, the greater the chance of finding a treatment that will prevent or even reverse these brain changes. The ultimate therapy may not be one drug at all but rather several aimed at various targets. I think this combination approach holds the most promise and here’s why: When AIDS exploded on the scene in the 1970s, the medical community was as frustrated as today’s Alzheimer’s disease researchers – nothing could stop this medical hurricane. Eventually, after years of research and clinical studies, they found the elusive treatment…and it wasn’t one, it was several. They discovered that if they administered a cocktail of medications that targeted various biological aspects of the disease and gave it to people in the HIV stage that they could prevent HIV from advancing to AIDS. Today this drug cocktail is the quintessential treatment for AIDS that has saved thousands of lives. Many Alzheimer’s researchers believe a successful treatment for Alzheimer’s will eventually involve a similar “cocktail” of medications that will concurrently target different brain changes. Without volunteers to participate in research, the progress of discovery will not hasten. The faster the studies enroll participants, the faster researchers can discover if the drug they are testing works, and the closer we will get to a therapy or medication that may give people with Alzheimer’s a longer quality of life. For example, the MINDSET study is testing an investigational treatment for mild-to-moderate Alzheimer’s disease that is taken together with the medication donepezil (Aricept®). In a previous study, researchers observed that the combination of RVT-101 and donepezil improved cognition and activities of daily living, compared to donepezil alone. Ready to help move research forward? Visit the Alzheimer’s Association’s TrialMatch website. It’s free, all information is kept confidential and the Association provides extensive information on various clinical trials in addition to individualized trial matching. Oh, and the hopeful part that I mentioned at the top of this post? By participating in a clinical study you get first crack at investigational medications that you can’t get any other way. You may or may not benefit from taking one of those medications. But if you don’t enroll, then you can only wait until a medication or cocktail of medications is approved by the FDA. That could be years from now. And every trial – whether the results are positive or negative – provides learnings that move research one step closer to putting this horrific disease behind us. About the Author: Jeffree Wyn Itrich spent over nine years managing communications and patient recruitment for clinical studies at the Alzheimer’s Disease Cooperative Study (ADCS) at UC San Diego. 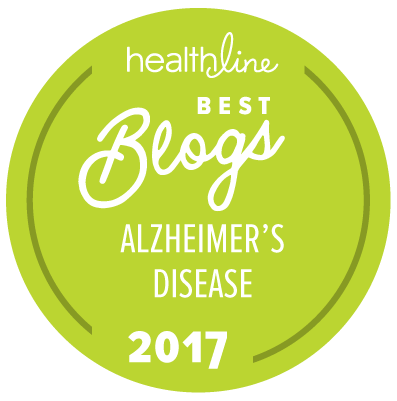 The blog she managed at the ADCS, Alzheimer’s Insights, was named the number one Alzheimer’s blog in 2016 by Healthline.com. After her early retirement, she couldn’t stay away from the field and now works in patient recruitment at Bioclinica, Inc.
this is misleading. i have tried to enroll in a number of AD studies and i am turned away because: 1)i haven't been diagnosed with MCI despite having observed symptoms of decline in cognition, or 2)i am too symptomatic. Gloria, do you have a neurologist? If not, I suggest you see one and talk to that doctor about your situation. The neurologist might be able to help. Where are these studies being done? We live in Jensen beach Fla.
Are there any studies in this area? Mother had Alzheimer's passed away 1yr ago , my brother also has Alzheimer's . Would like to be in a study. I checked at one time but lost information. Hi, Jeffree! I was wondering how I can get in touch with you? I would love to discuss something with you in regards to this article . It was very informative! And well written. I was wondering if I could discuss an amazing breakthrough natural product that has been trialed with individuals with AD!! I've been in touch with the AS as well! Just can't seem to connect with anyone. This product showed a 60% increase in cognition with these individuals!!! This is amazing news and I want to shout it from the roof tops!! Thank you and hope to hear from you soon!!! Hello Sangeeta. If you will visit http://www.clinicaltrials.gov and do a search at the top of the page (such as Alzheimer's AND India) a list of studies will come up. If none come up that are currently enrolling check the website every couple of months as new studies are posted all the time. Good luck! My Father Had Alzheimer's! At times I am suspicious about myself! Hi my daughter is 48 with early onset alz. Most studies these days focus on mild to moderate Alzheimer's. It sounds like your daughter is advanced. While there are studies for the advanced stage they are not as common. Take a look around Trial Match as there may be one in your area for which your daughter would qualify. Hello, my father is 78 and has mild/moderate AD. He lives in the San Francisco Bay area. We’re already in a study at UCSF’s Center for Memory and Aging. Are there clinical trials in our area? I’d be interested in food as medicine like coconut oil or turmeric for my father. We are also open to other clinical trials. Thank you very much. In order to participate in this trial, do I have to have been diagnosed with Alzheimer's. My mother had Alzheimer's and I'm trying to be proactive. Am interested in the trials,but we live in the Bay area.Will be seeing the neurologist on Friday for more answers. My husband has just been diagnosed with this horrible disease .